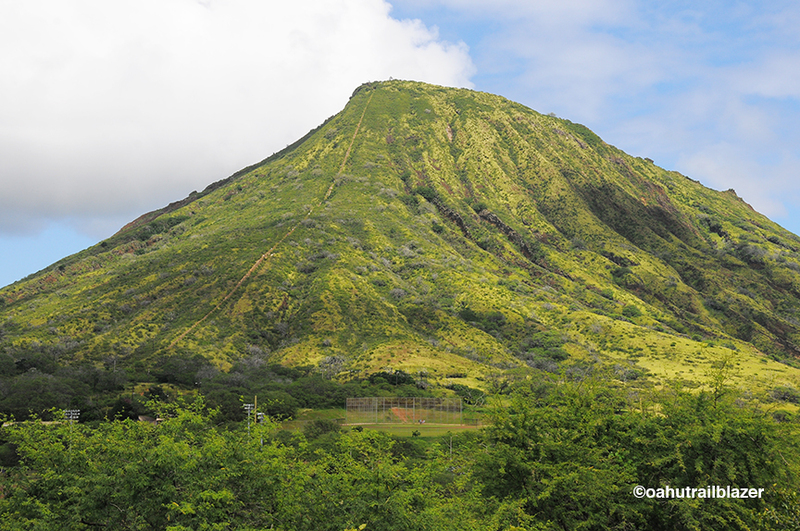 Kissing cousin to the more-famous Diamond Head volcano, Koko Crater sits right across the highway from the most popular snorkeling venue in Hawaii (Hanauma Bay). 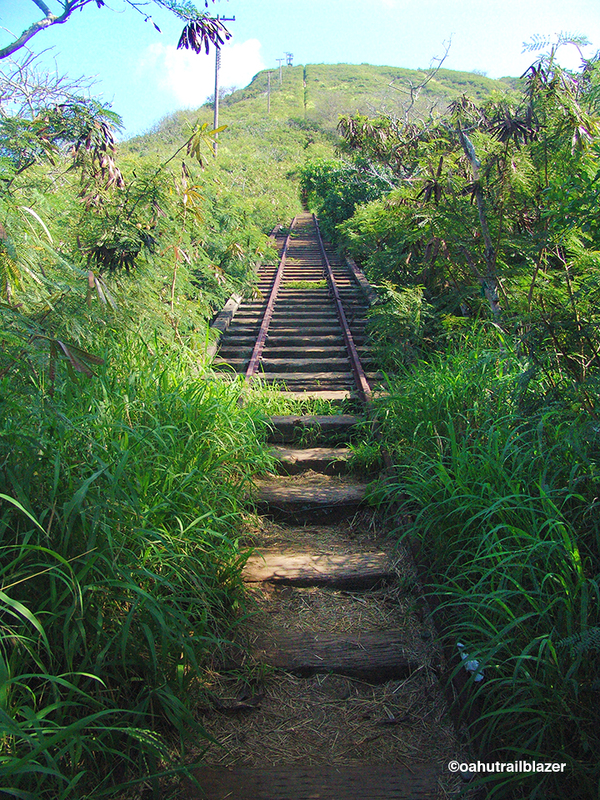 Beginning at a parking lot for Koko Crater Regional Park is a trail like no other: Hundreds of railroad-tie steps go skyward 1,200 feet over 1.25 miles to the top. The route follows the remnants of a WWII-era tramway that transported workers to a radar installation. You get a good look at his improbable trail from a turnout before reaching Hanauma Bay from Hawaii Kai east of Waikiki. 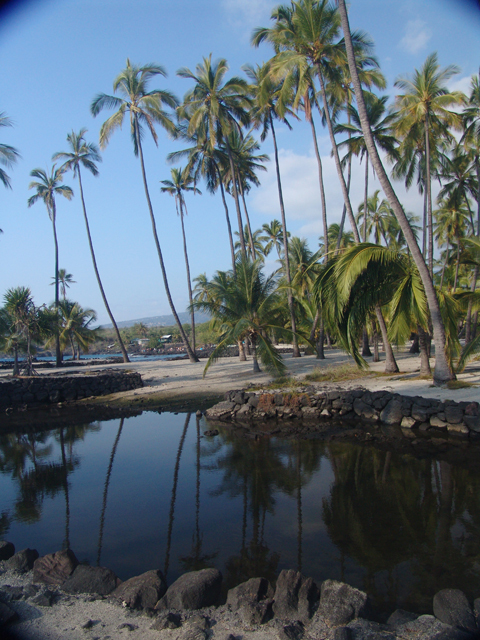 Hot tip: Try this adventure early or late in the day to avoid getting fried by the tropical sun. 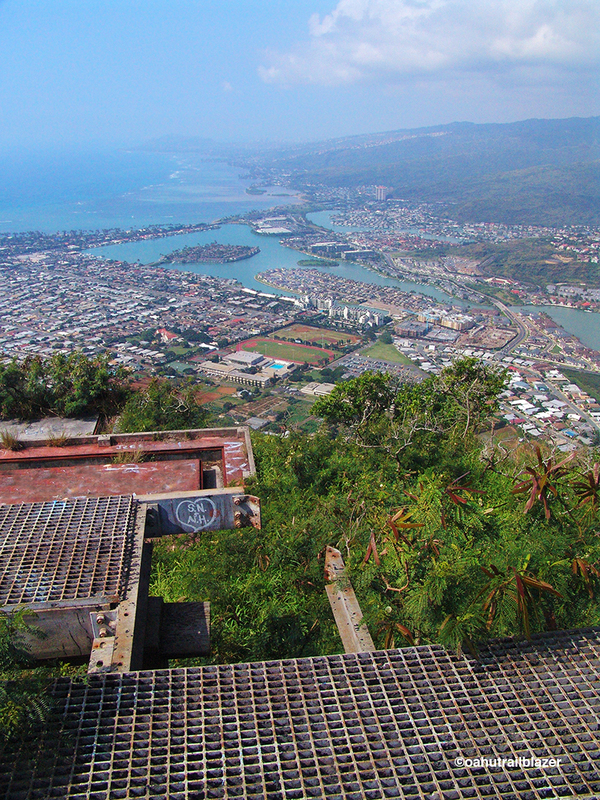 Steel grating at the summit provides a viewing platform. That’s Hawaii Kai, just west of Koko Crater. 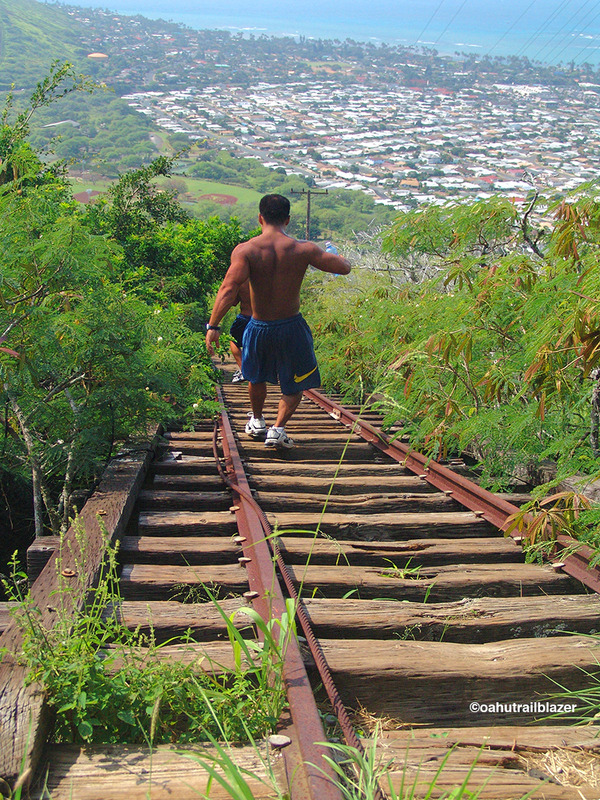 Though not as hairy as many Oahu ridge hikes, you’ll want to avoid leg fatigue that may cause a tumble. One section, with wider separation over a gully, is safer when using your hands. 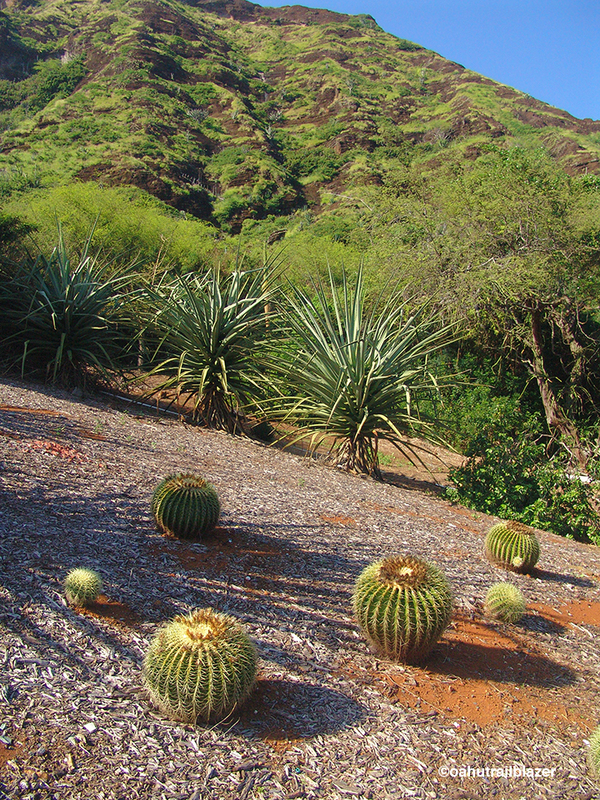 The view south from the summit is into Koko Crater Botanical Gardens, where an unlikely assortment of cacti and palms is mind-blowing in its own way. Unless you brought a parachute, you’ll need to continue past Hanauma Bay and Sandy Beach to reach the garden’s entrance. 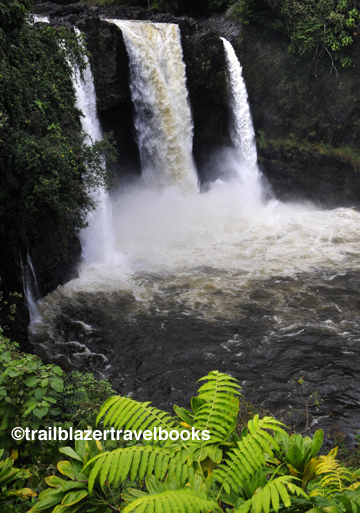 A 2.25-mile loop trail through the 60-acre crater floor passes a forest of plumeria trees (blooming in spring), Disney-esque cacti, native wiliwili trees and loulou palms, as well as palm imports from Africa and Madagascar. Birdsong provides the narration. 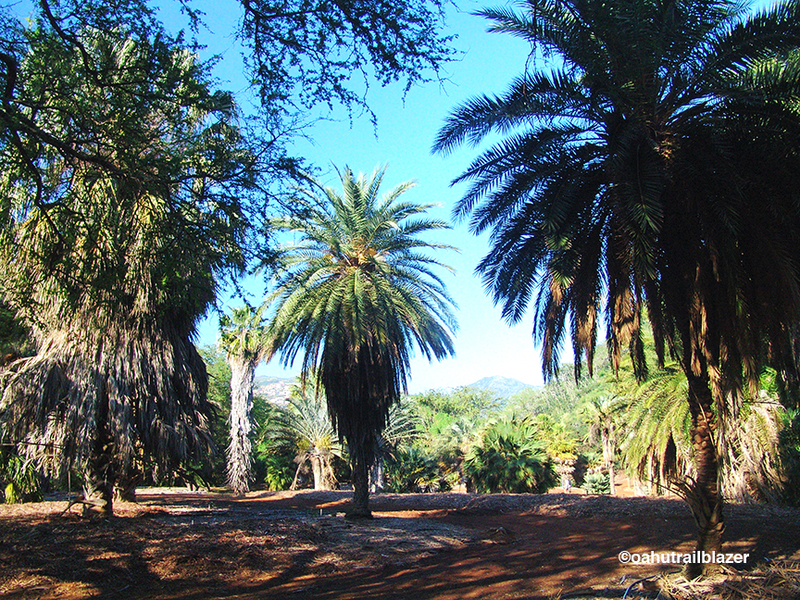 Admission to the garden is free. 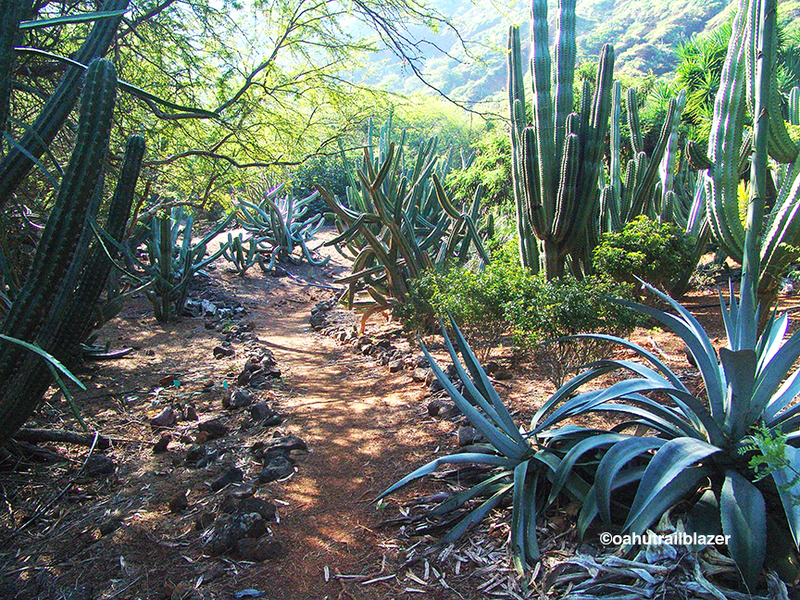 Hemmed in by curving 1,000-foot walls, the crater floor can be hot. Morning and evening hours are best. 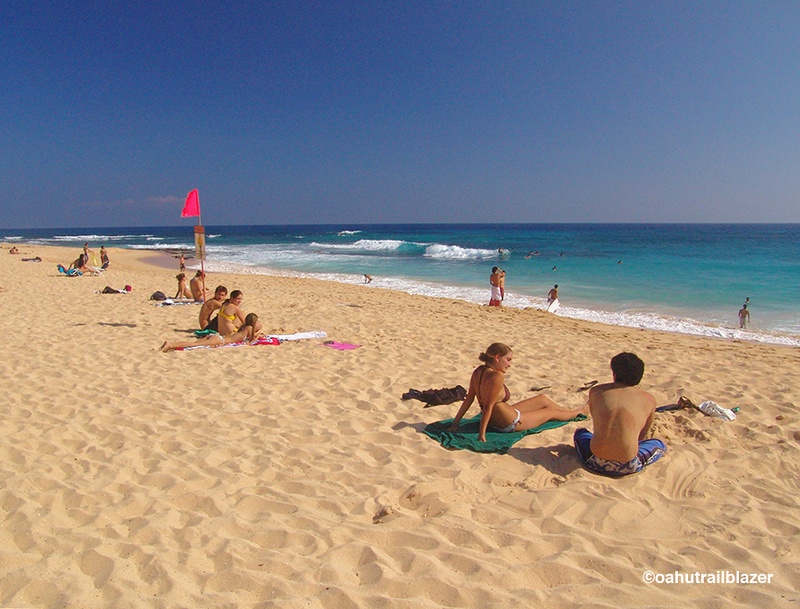 Speaking of hot: Sandy Beach, east of Koko Crater, lures surfers, body boarders, and sunbathers from both sides of Oahu. On the weekends, the scene amps to da max. 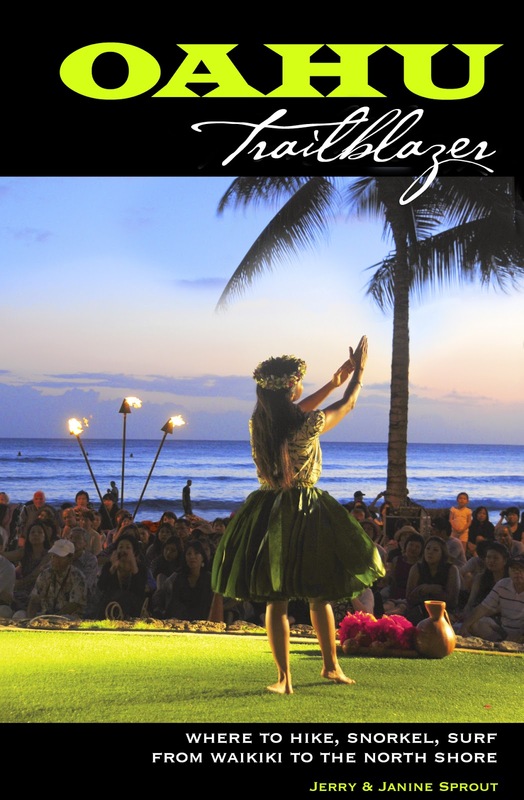 Oahu Trailblazer has more details on the the east side of Oahu—the island’s pleasant surprise.